BIM for BricsCAD V17 adds sites, BIM patches, rooms and and an extensive structure browser. On top of that, detail sections and sections views are improved significantly. BricsCAD BIM lifts creativity, not complexity. With BricsCAD BIM you can go through all stages without leaving the .dwg platform, no extra software needed. 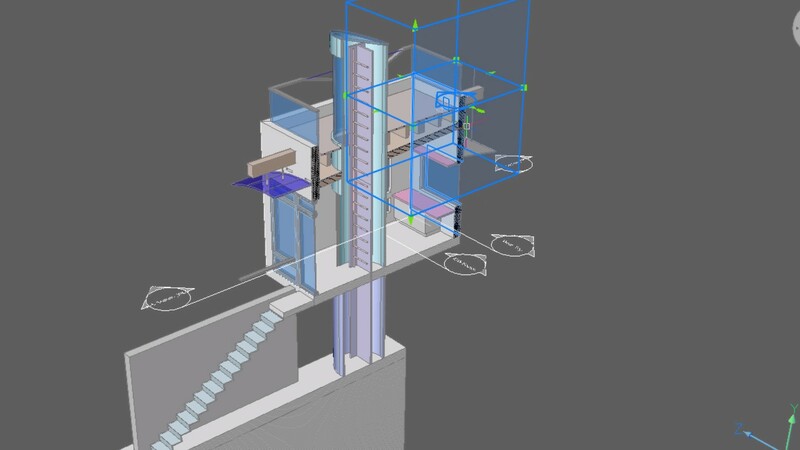 BricsCAD V17 brings the power of Building Information Modeling to the .dwg world. Create intuitively without limitation as you would do in SketchUp – but be faster and more precise. BricsCAD BIM combines in one product the most advanced 3D sketch modeler with full IFC certified BIM functionality. It allows you to work through all the typical design stages without leaving the .dwg platform. 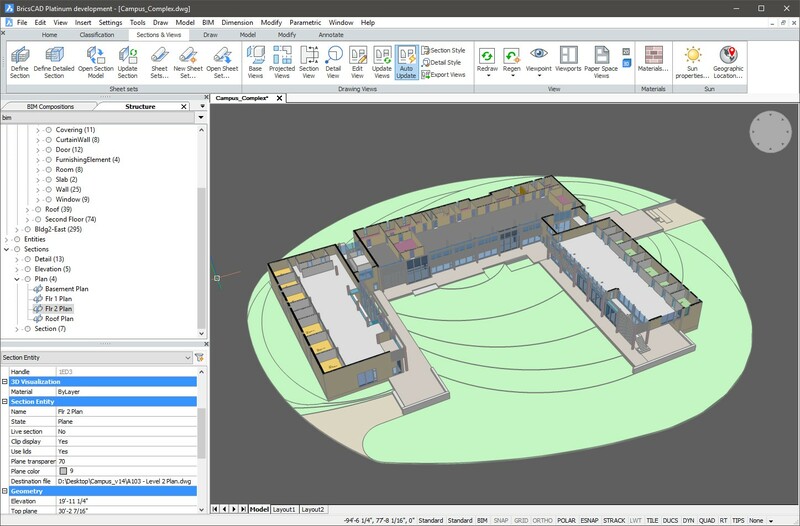 Now you can work with the different plies of your walls, floors and roofs of your BIM. Just select the objects with compositions assigned, turn the compositions on, and you can select an individual ply within that wall to refine and better represent your design. The default drawing holds one building with three stories. You specify properties for the new site, building, and story elements. 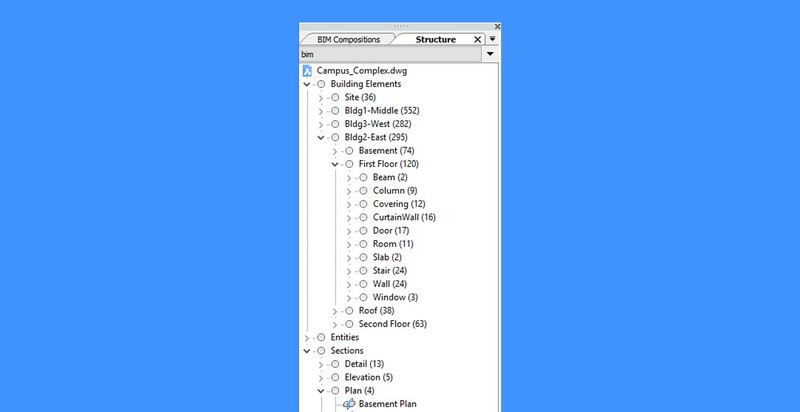 The Structure Browser allows you to exam BIM models defined by classification, composition and other properties. 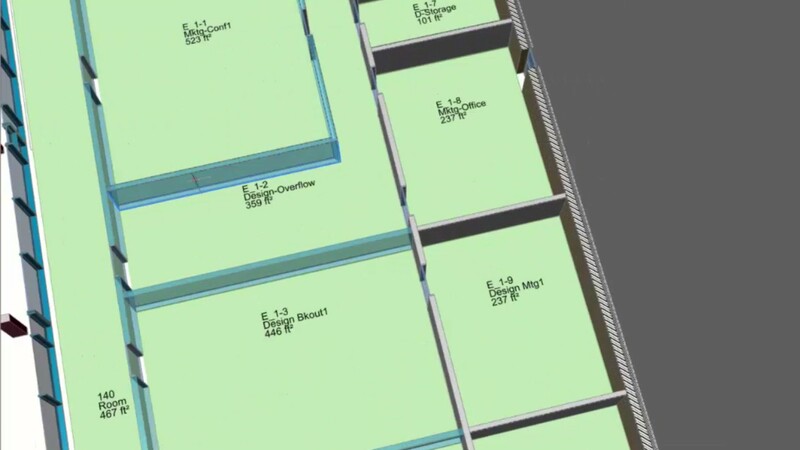 Every object in your BIM is always included, and is initially categorized as a Building Element, Entity or Section, depending on the information you have incorporated into the BIM. 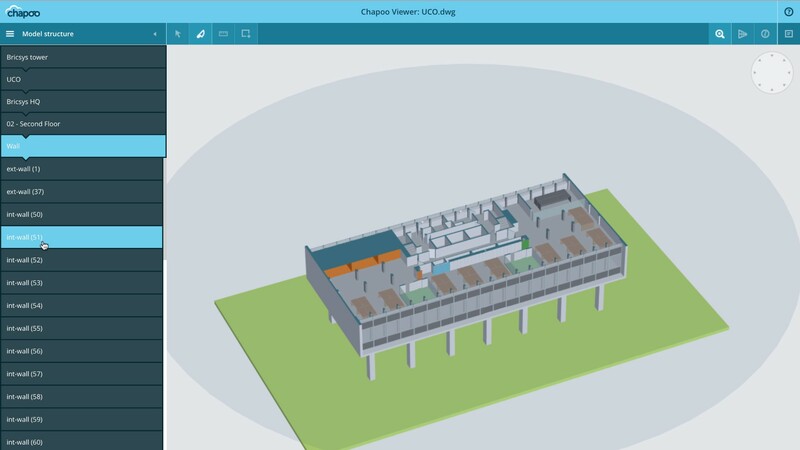 You can use the Structure Browser to see “what is in your BIM”, “where it is located”, “what properties are assigned”, “if those properties assignments are correct”, and investigate “what is missing”. The Structure Browser provides a new, more powerful and flexible way to work with your BIM than using layers. 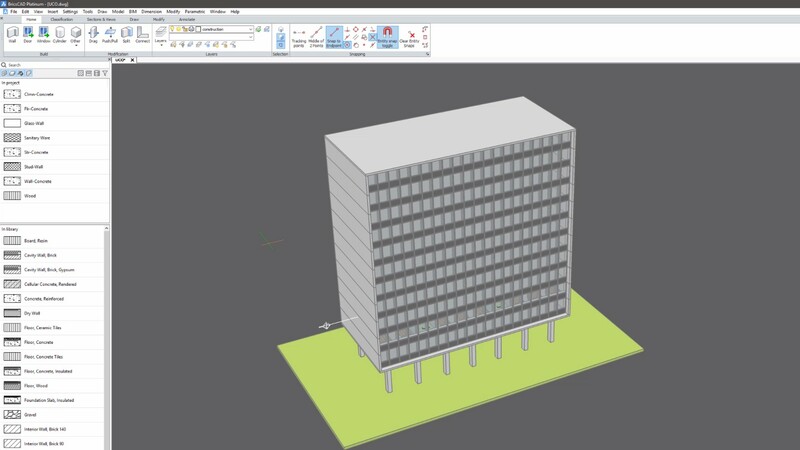 Create a detail section using the option named “detail” of the BIM section command. Define the volume of the section by specifying three corner points. 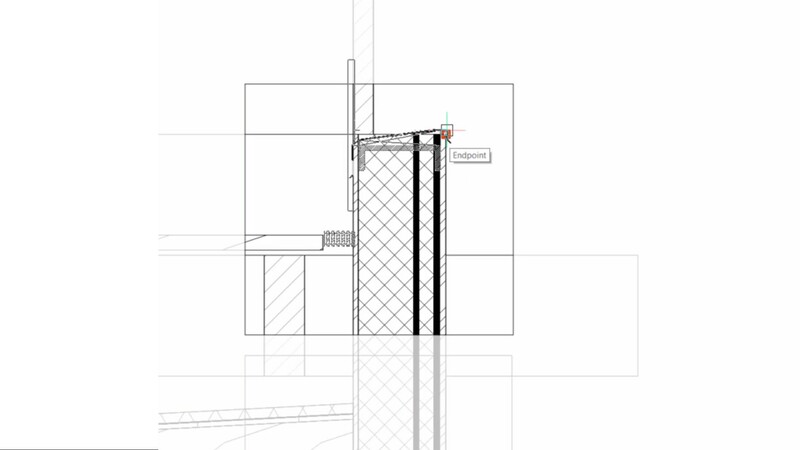 Use “BIM patch” to specify a rectangular area on a previously generated section. If changes occurred, then BricsCAD outlines the patch in red; then updates the view and the “BIM patch” adjusts with the geometry it is associated with. Chapoo features a building information model server which enables you to centralize the information of a construction project. 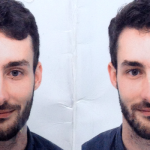 The most recent version is always immediately available. Chapoo keeps track of the latest version with the help of revisions. 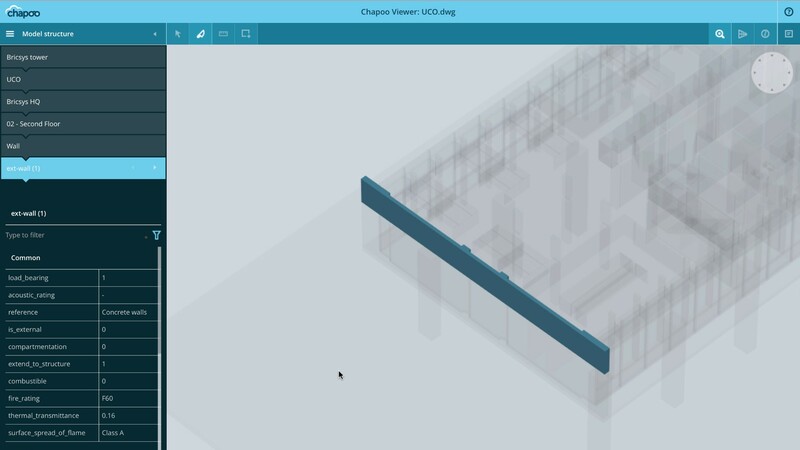 The Chapoo 3D viewer allows you to view 3D CAD files online in your browser. With the integrated data Explorer you can browse through the entire structure of your model. 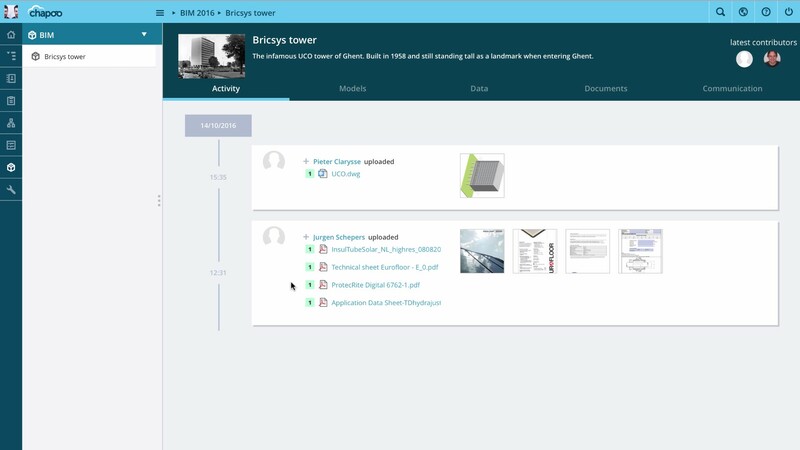 Read more about the BricsCAD BIM features or try BIM for BricsCAD 30 days for free.